Click Below to find out more information about all the incredible special guests that will be a part of this event. 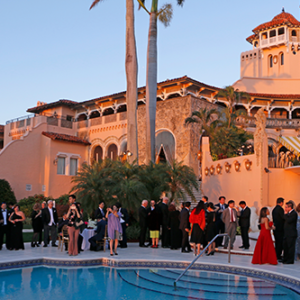 The Gala is being held at the famous Mar a Lago. Enjoy a night full of fine dinning and special guests. 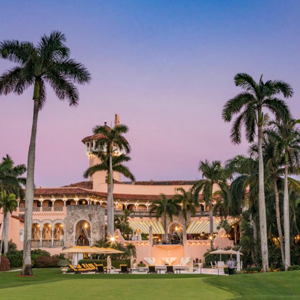 Click below to learn more about Mar a Lago. Click below to check out all the amazing photos from The Inaugural Truth About Israel Gala! Let me tell you how this whole event thing The Truth About Israel unfolded. On May 22nd, there was the bombing in Manchester at the Ariana Grande concert. The first person I called was a woman whose daughter normally travels with Ariana worldwide to many of her concerts but fortunately this time she was not there. You know when I grew up we the Americans were the good guys and the bad guys were the Russians. Now, 14 million or so Jews are faced with 2.2 billion Muslims of which 1.6 billion that are followers of Islam – that potentially all want us erased from this earth. As I have said time and again I have three passions, my children, my country, and Israel & I learned a long time ago that either you stand for something or you’ll fall for anything. 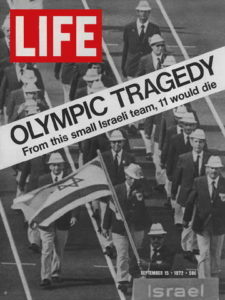 As I looked at significant dates in Israel’s history, September 5, 1972 stood out – that was the day of the Munich Massacre. Being a swimmer then & now, it has special significance to me. Most people today know the name Michael Phelps but in 1972 it was Mark Spitz at the Olympics in Germany who won 7 gold medals set 7 world records & that record of 7 gold medals lasted for 36 years until Phelps broke it in 2008 in China. 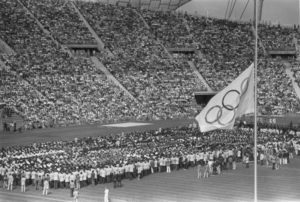 Even 9 years ago anti-Semitism was evident as the Olympic Committee did not invite Mark Spitz to be present as his record was broken in Beijing. As a side note, when Mark Maguire broke Roger Maris’s record, the Maris family was invited – as the record from 1961 was broken – a record that had lasted 37 years. IT IS TIME WE ALL STAND FOR SOMETHING! And I will Bless them that Bless thee (Israel) & curse him that curseth Thee, and in Thee shall all the families of the Earth be blessed.